Practice for your next fight effectively and boost the speed and dexterity with the Carbon Claw PRO X ILD-7 Soft Pro leather edge hook and curved jab presents a comfortable and ideal way of practicing punching combinations, as well as efficient bob and weave. To ensure appropriate fresh feel and hygiene level, the inner lining of the pads includes moisture wicking, anti-microbial material, whilst proper impact attenuation for both puncher and the partner comes from thicker foam padding, also providing increased wrist flexion protection. The accessory is full made with high grade goat hide leather. 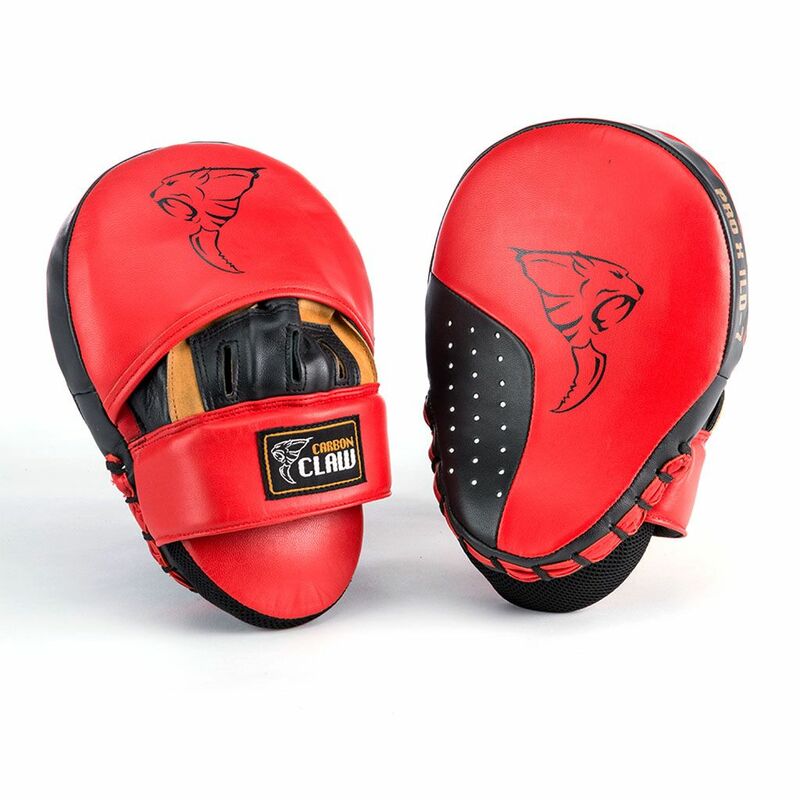 for submitting product information about Carbon Claw PRO X ILD-7 Soft Pro Leather Edge Hook and Curved Jab We aim to answer all questions within 2-3 days. for submitting product information about Carbon Claw PRO X ILD-7 Soft Pro Leather Edge Hook and Curved Jab. We aim to answer all questions within 2-3 days. If you provided your name and email address, we will email you as soon as the answer is published. for submitting product review about Carbon Claw PRO X ILD-7 Soft Pro Leather Edge Hook and Curved Jab.